Brown, grey and cream tones. Only available in Canadian K2 Stone locations. 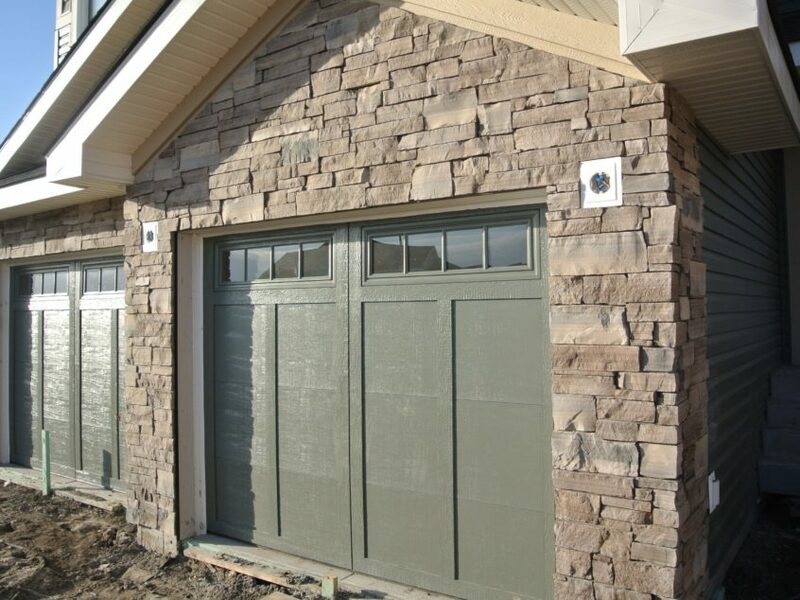 Limestone is a naturally beautiful material that can add character and value when used on home exteriors and interiors. 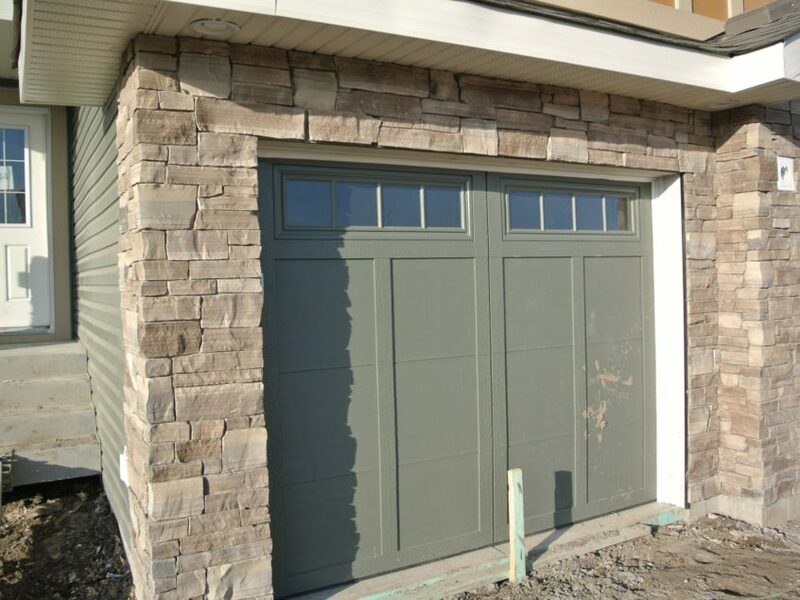 Our Smokey Limestone is a stone veneer product with a color palette combining brown, grey and cream tones with unique linear streaking. 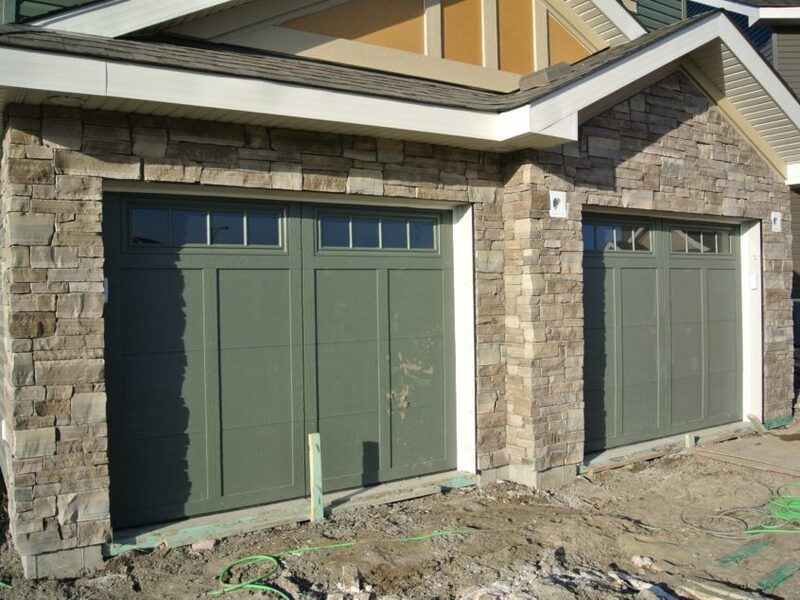 Its rectangular orientation is cut with the traditional ledge stone shape. 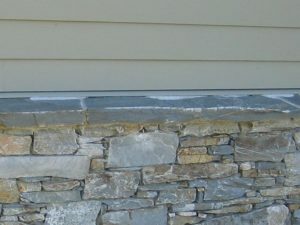 This split face profile will add great dimensional texture to your home’s architectural design. This product is available in ¾” to 5" face heights and 8" to 16" lengths. 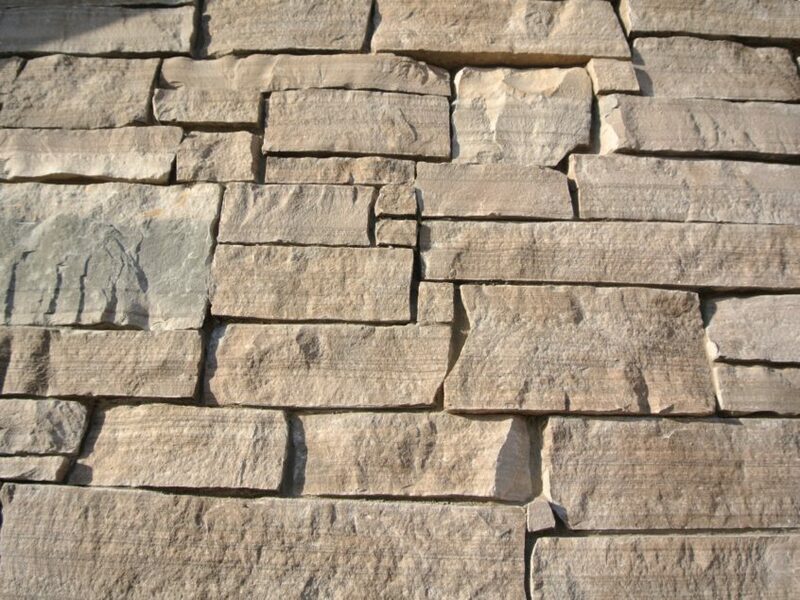 Used on exterior elevations and for landscaping features around a property, Smokey Limestone Veneer can pull together disconnected buildings and areas into an integrated and blended whole. Its subtle hue ensures it will blend harmoniously with existing construction materials and trim – from wood to brick or metal. At the front of the home, use Smokey Limestone to create an impressive entrance. Apply it around the front door, at the base of columns, or on low retaining walls. In other areas this product can be used for spectacular built-in landscaping features such as outdoor kitchens and entertaining areas. Or, use it on retaining walls to keep planting beds and pool decks contained and tidy looking. Inside, natural stone veneer can be used strategically to create pockets of drama and sophistication throughout the home. It adds luxury and charm to often neglected transitional spaces such as foyers, hallways and stair landings. But it works equally well in the main living spaces of a home. 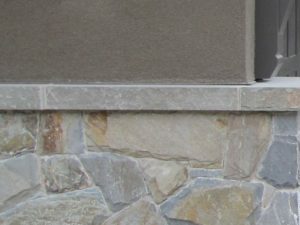 The most popular treatment for natural stone veneer is using it to turn a living or great room fireplace into a feature wall. Do this by applying Smokey Limestone Veneer on the surround, all the way to the ceiling to emphasize height. This product can also be used to turn a powder room or the shower enclosure of a larger bathroom into a relaxing and organic spa-like environment. The only real limit for this versatile material is your imagination.